The National Institute of Neurological Disorders & Stroke offers an information page and fact sheet discussing neuropathy. It provides answers to common questions about neuropathy as well as links to current research and studies. It also provides information to patients who might be interested in enrolling in clinical trials to study treatments and options for neuropathy. The Foundation for Peripheral Neuropathy is a non-profit organization. It hopes to improve the lives of those who live with peripheral neuropathy and to speed up the search for a cure. The group provides funding to scientists and doctors and creates outreach programs for healthcare providers, patients and their families. It seeks to provide information to patients and to raise awareness of peripheral neuropathy among the general public. Based out of the University of Chicago, the Center for Peripheral Neuropathy aims to educate healthcare providers and the public about neuropathy. It also provides advanced care and treatment to those suffering from peripheral neuropathy. The center is an active participant in clinical and basic research into the disorders. It hopes to identify more causes and potential cures for neuropathy. Diabetes is one of the leading causes of peripheral neuropathy. It's estimated that more than half of patients with diabetes will develop some form of neuropathy. The American Diabetes Association works to prevent and cure the condition. It also provides support to those living with diabetes and works to improve their lives. The association provides comprehensive information on diabetes complications, including neuropathy. The Neuropathy Action Foundation is another non-profit. One of its goals is to educate neuropathy patients. It provides them with the information they need to become advocates for their healthcare. The organization provides resources, tools and information to help patients improve their quality of life. 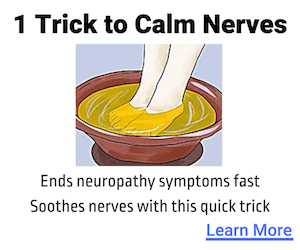 It also works to increase awareness among the general public, healthcare providers and public policy officials about the seriousness of neuropathy. PolyNeuro Exchange is a website that provides current information on the symptoms of various periopheral neuropathies. It also provides up-to-date information on available treatments and diagnosis processes. 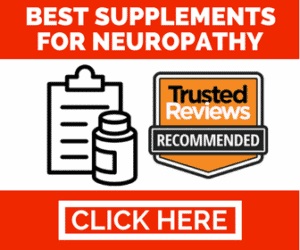 The website focuses on neuropathies that affect multiple nerves, particularly multifocal motor neuropathy, Guillain-Barre Syndrome and chronic inflammatory demyelinating polyneuropathy. Charcot-Marie-Tooth (CMT) is an inherited disorder that affects the peripheral nerves. There are more than 90 varieties of CMT, each caused by a different gene mutation. The various forms of CMT affect nearly 3 million people around the world. The Charcot-Marie-Tooth Association is working to create a world free from CMT. They support the development of new medications to treat the condition, work to improve the quality of life of people with CMT and hope to ultimately discover a cure for the condition. The National Center for Complementary and Integrative Health doesn't focus specifically on neuropathy. It is a government agency that conducts research on the various medical practices, products and systems that are not part of conventional medicine. Its website provides comprehensive information on complementary and alternative medicine, including vitamins and herbs for nerve pain. The Hereditary Neuropathy Foundation is a non-profit organization that focuses on Charcot-Marie-Tooth disorder and other related, inherited neuropathies. The organization's goal is to increase awareness of these disorders. It also works to increase accurate diagnosis of CMT and to provide support to those diagnosed with the condition. One of its projects is the Therapeutic Research in Accelerated Discovery program (TRIAD). TRIAD is a joint effort between government groups, academia and industry to create treatments for CMT. It has also produced books and films that intend to education the public about CMT. The Neuropathy Support Network is a non-profit organization based in Florida. It is committed to actively providing support to patients who have any form of peripheral neuropathy. The organization owns the copyright of a DVD, “Coping with Chronic Neuropathy,” that works to encourage and empower people with neuropathy. The DVD was created by a number of volunteers, seven of whom have some form of neuropathy. Online support groups can help patients living with neuropathy cope in the real world. Our Neuropathy Friends is a Facebook group that gives neuropathy sufferers a place to share and connect. The group is a closed group, meaning you have to ask for permission to join. A Facebook account is required too. The Western Neuropathy Association organizes local support groups for patients with peripheral neuropathy. The association is based in California and works to create support groups in the western US. It has support groups in Nevada, Oregon and California.